Parameters : Starting Page, whitelist or a blacklist, display options, locked with a password, etc. Ideal for : Waiting room, Hotel lobby, Office, Hospitals, School, Library . 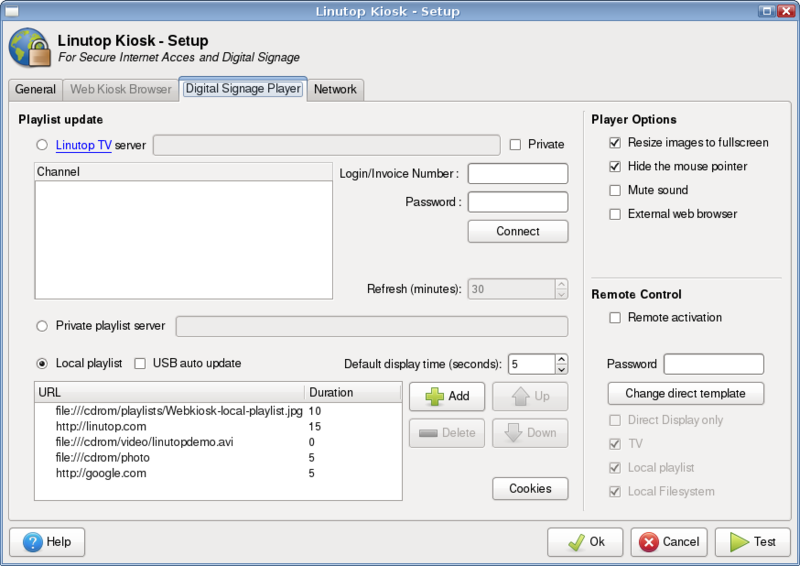 Display photos, PDF, videos, musics or web pages with Linutop Kiosk. Linutop Kiosk allows to configure and display a selfmade playlist of your digital content. It is easy to use. Linutop's light weight and size plus the easy setup of Linutop Kiosk makes it ideal for light web signage and narrowcasting. Ideal for: Shops, Advertising, Point-Of-Sale displays, Vending machines, Kiosks, Museums, Public transport, City hall, etc. 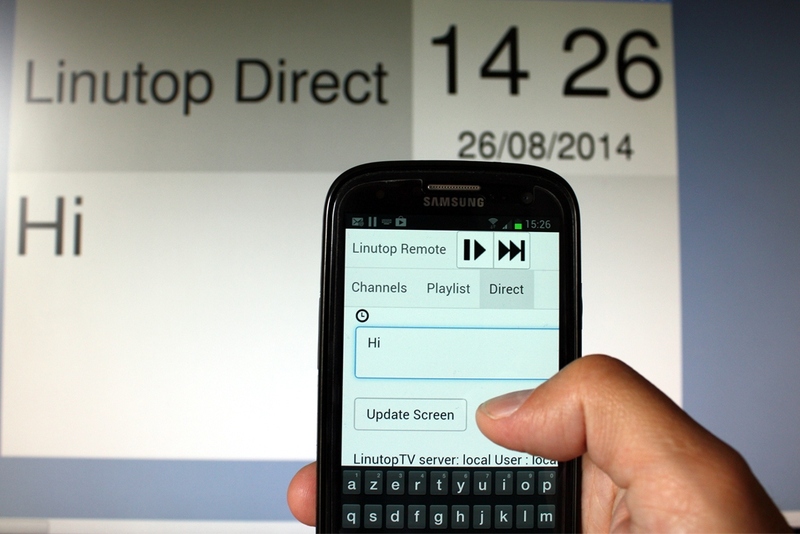 Linutop remote is accessible from any browser on a smartphone, tablette or pc. Default URL, archives management, maximum number of simultaneously open windows, and the display time of the time out message, etc. This menu enables the management of the display playlist, including the time and order, and supports photos, URLs, video and music files. The playlist can be easily composed by dragging and dropping icons. 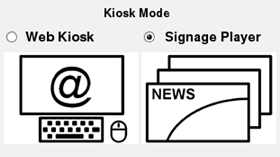 Use your Linutop as a public Web kiosk which will turn itself into a digital display screen when nobody use it. 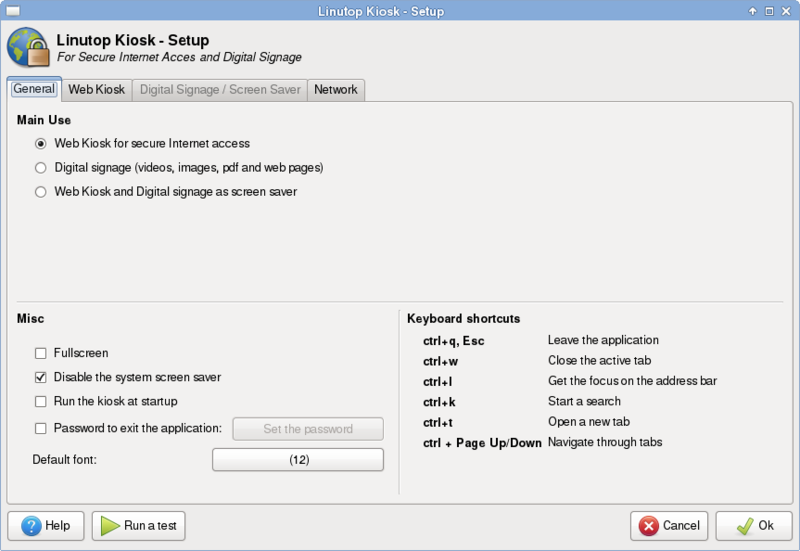 Important: Linutop Kiosk can open automatically at startup.. It will also completely locked your Web Kiosk or Digital SIgnage Player. Fanless PC with no moving parts, Linutop offers a completely silent, energy-efficient operation in an extremely small package. Linutop power consumption is up to 10 times smaller than a regular PC, a great saving when running 24h-7d. 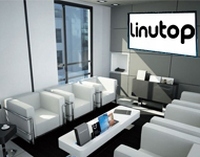 The Linutop operating system is stored in an internal flash memory and cannot be altered by virus or mishap. The system can be locked with a password, preventing alterations by viruses or other mishaps. The USB key back-up feature makes it easier to deploy a singular configuration. 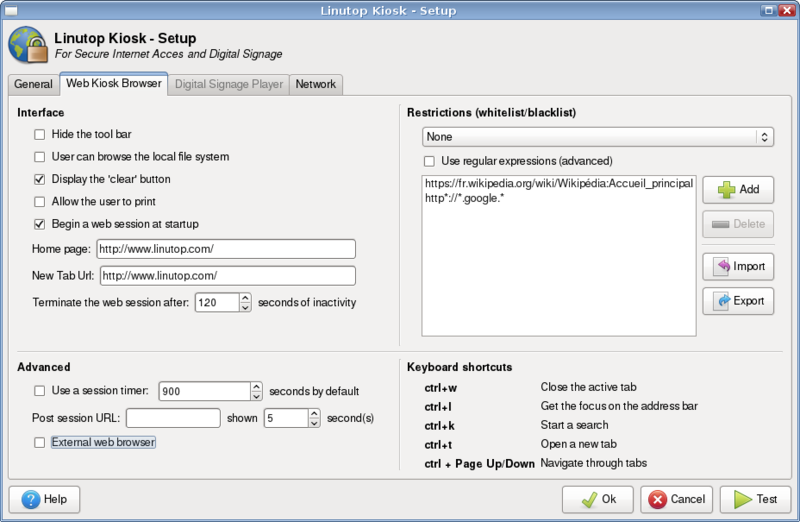 Linutop is delivered with open source ready-to-use Linux software: Firefox, Open Office, VLC Media player... and can be easily customized with additional software.